Inspired by Homer’s The Iliad, Boyer’s Ghosts of Troy is a tone poem which evokes key episodes from that Trojan War epic. 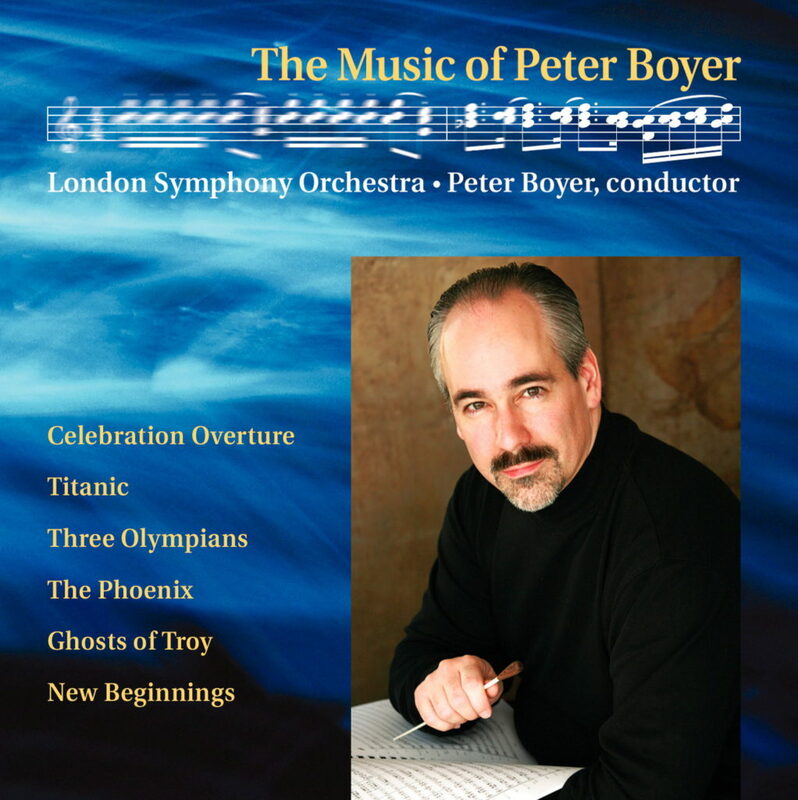 The work was commissioned by the Oregon Mozart Players, and recorded as part of Boyer’s debut album with the London Symphony Orchestra in 2001. This work was commissioned by the Oregon Mozart Players, and premiered by them, conducted by Andrew Massey, at the Hult Center for the Performing Arts on November 4, 2000. Ghosts of Troy is a tone poem inspired by Homer’s The Iliad, a rich source of inspiration for composers for centuries. In constructing the work, the task which I set for myself was to create musical imagery which might capture the spirit of key episodes of The Iliad. Obviously, to deal with this epic in a composition of only 14 minutes is a great challenge. Thus the piece is by nature episodic, though it has recurring elements. The most significant is a particular harmony (D-E-A-B flat) which I associate with the rage of Achilles, the subject of the work’s first section. These words are inThe Iliad’s very first line, and it is indeed Achilles’ rage which is the primary focus of the poem. It is the death of Achilles’ beloved companion Patroclus, at the hands of the Trojan hero Hector, which spurs Achilles to return to battle with the Trojans after a long refusal to take part. (“The death of Patroclus” is a kind of homage to one of my favorite film cues, by Jerry Goldsmith—those who know his music will know the cue to which I refer.) The farewell of Hector and his wife Andromache is a scene of great tenderness in the midst of the grim fury of battle. (I have taken some license here in reversing the proper order of these two scenes.) The combat of Hector and Achilles is the climax toward which The Iliad has been moving, and it ends with Hector’s death and defilement at the hands of the Greek warrior. Perhaps the most moving scene in The Iliad occurs near its end, when King Priam, ruler of Troy, steals into Achilles’ camp to beg for the ransom of his son Hector’s body. This section is for strings alone, followed by the final section, the subject of which is the ransom and burial of the body of the Trojan hero. The sound of Achilles’ rage, though, is still present at the work’s conclusion.